We are committed to breaking down the barriers to research in space, by developing reliable and affordable systems to deliver experiments and payloads to their desired locations. We are committed to pushing the boundaries of exploration, promoting new talent in the space industry, and developing solutions that work for a range of customers – from space agencies and industry, through to academic institutions. PTScientists has developed a spacecraft capable of delivering two rovers, or up to 100 kg of payload, to the lunar surface. We offer companies and academic institutions the opportunity to transport payload and experiments to the Moon at affordable prices. 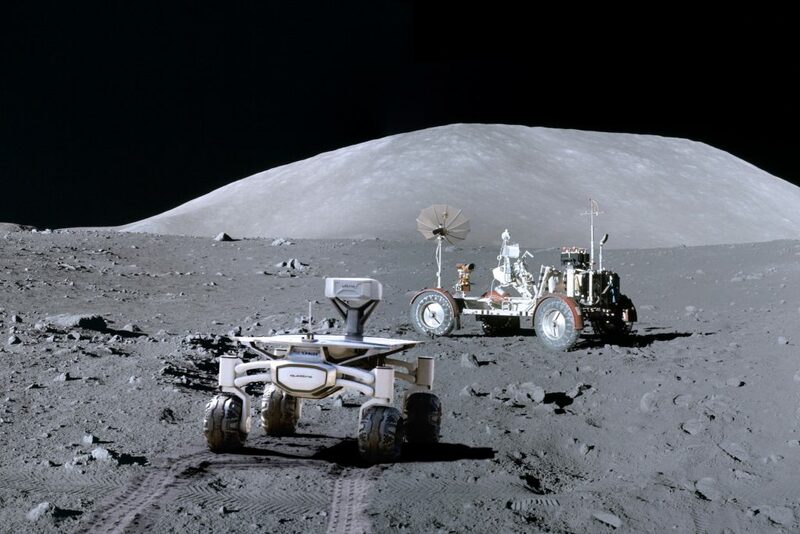 In our first mission, Mission to the Moon, we will be sending two Audi lunar quattro rovers to the lunar surface and revisiting the landing site of NASA’s Apollo 17 mission, humans last set foot on the Moon, back in 1972. We pride ourselves on our innovative approach, use of the latest technology, and openness to cross-disciplinary partnerships. Working with car-manufacturer Audi, and mobile operator Vodafone, we have brought in expertise from different sectors to develop a ground-breaking scientific and technology demonstration mission, which will launch next year. PTScientists is a privately-funded company, and our goal is to show that it is possible to build a sustainable business in space exploration. As well as delivering cheaper and more regular opportunities for academics, industry and educational institutions to conduct lunar research, we are keen to develop the infrastructure required for future settlement on the Moon. Our industrial and academic partnerships help to drive the technological developments of Mission to the Moon, and include the development of new space-grade technologies for power utilisation, electronics, data-hosting and optical systems. PTScientists is dedicated to democratising space, and inspiring the next generation of scientists, engineers and explorers. Join us on the journey by checking out our special Mission to the Moon website and signing up for our newsletter.